“Many pilots of standard aircraft find another outlet for their passion for flight by building aircraft themselves from kits. Technically known as experimental amateur-built (EAB) aircraft, and sometimes called home-built aircraft, these aircraft are typically constructed by pilots, using parts designed and fabricated by kit plane manufacturers. In many cases, the initial construction phases are completed at the pilot’s own location, to which parts and components are delivered as they are needed. This produces significant and evolving exposure for the aircraft owner. 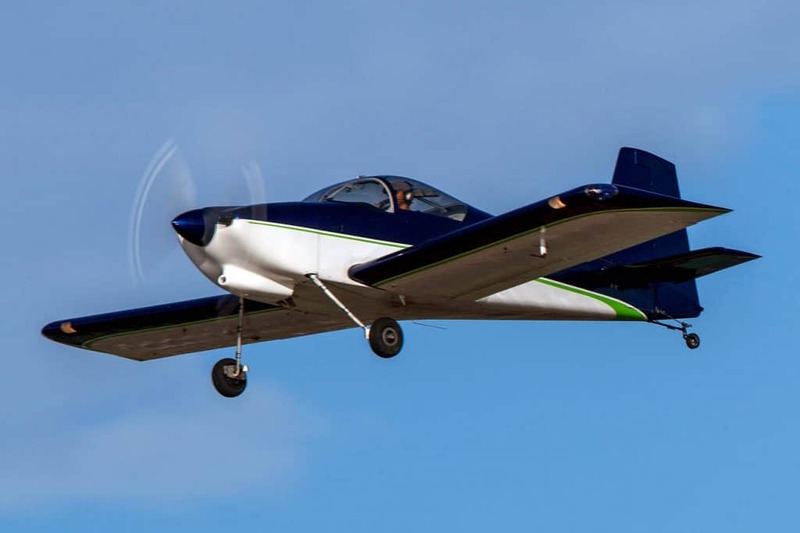 Consequently, experimental aircraft insurance policies must evolve as the project progresses, the pilot’s asset grows in value, and the kit aircraft goes from rough framework to fully functioning experimental plane. EAB aircraft insurance is essentially the same as insurance for standard aircraft. When the pilot/builder is first gathering the materials for the kit plane project, the policy is written as “Ground Not in Motion.” While the plane may be weeks, months, or longer from getting airborne, it is important that the cost of the components is adequately insured. This is sometimes referred to as “project insurance” or a “builder’s risk” policy. This type of policy does not afford insurance for taxi or flight operations. It is important to understand the limitations of a “builder’s risk” policy. As the pilot begins assembling the plane, an “Aircraft Under Construction” endorsement is added to the policy. This insurance provides protection throughout the building process. However, it is important that the pilot stay in contact with their aviation insurance broker to update the policy as the aircraft and component part value increases. It is also crucial for kit plane builders to keep detailed records, receipts, bills, and other documents related to the project, as compensation in the event of a loss may require this documentation. When an amateur built aircraft reaches the point where it is operational, the builder’s risk policy is canceled pro rata (meaning any premiums paid for future periods are refunded) and a new policy is issued. The new policy allows for “full flight” of the aircraft and has a different premium due to the new exposure. However, it is important to note that the experimental aircraft is still subject to restrictions that can take some time to resolve. During the fly off period, which can last from 25 to 40 flight hours, a pilot is essentially creating the operating handbook for their plane. This is extremely important since experimental aircraft are unique by nature and because some pilots make modifications to the standard kit design. The fly off period is a time of higher risk since there are many unknowns until a plane has been thoroughly tested. Consequently, the FAA imposes restrictions on the use of the plane during this period. For example, a pilot is not allowed to carry passengers in the aircraft during the fly off period. If you are planning to build a kit plane, keep the important considerations below in mind. Do your research and have a plan for securing home built aircraft insurance before you start your project. Waiting until it is complete or nearly complete to seek insurance may cause delays in your clearance to fly the plane. Be aware that many companies do not offer home-built plane insurance. Of those that do, many write builder’s risk and full flight policies, but not first flight insurance. There may be advantages to working with an insurer who can cover your project from conception to completion and beyond. Do not rely on your homeowner’s insurance to cover the loss of experimental aircraft parts you are storing at home. Coverage may be inadequate or nonexistent in your homeowner’s policy. Be aware that training with a Certified Flight Instructor (CFI) will likely be required before you can insure your aircraft. If your aircraft is unique, it may take some time to find someone who can train you. In addition, your insurance company may require that you do annual training on your home-built aircraft. You may be surprised at how affordable builder’s risk insurance is. Be sure to obtain quotes before dismissing project insurance as expensive or unnecessary. Experimental aircraft insurance typically covers your airplane parts while you are transporting them from one place to another. As noted above, EAB aircraft insurance covers the price paid for the components purchased for the project, including engine, avionics, and the like. If someone is injured while helping you build your kit airplane, you may be legally liable for damages. This is true even before the aircraft is operational. Something as simple as running into a propeller and suffering a laceration can result in a claim. Once a pilot has gone through the process and qualified for insurance on their EAB aircraft, renewing annually is much easier. The last thing any pilot wants is to spend thousands of hours and a significant amount of money on building an experimental aircraft only to learn that no company will insure it, or that the required pilot training is unavailable or complicated to complete.